Ships today if you order in the next 14 hours 12 minutes. 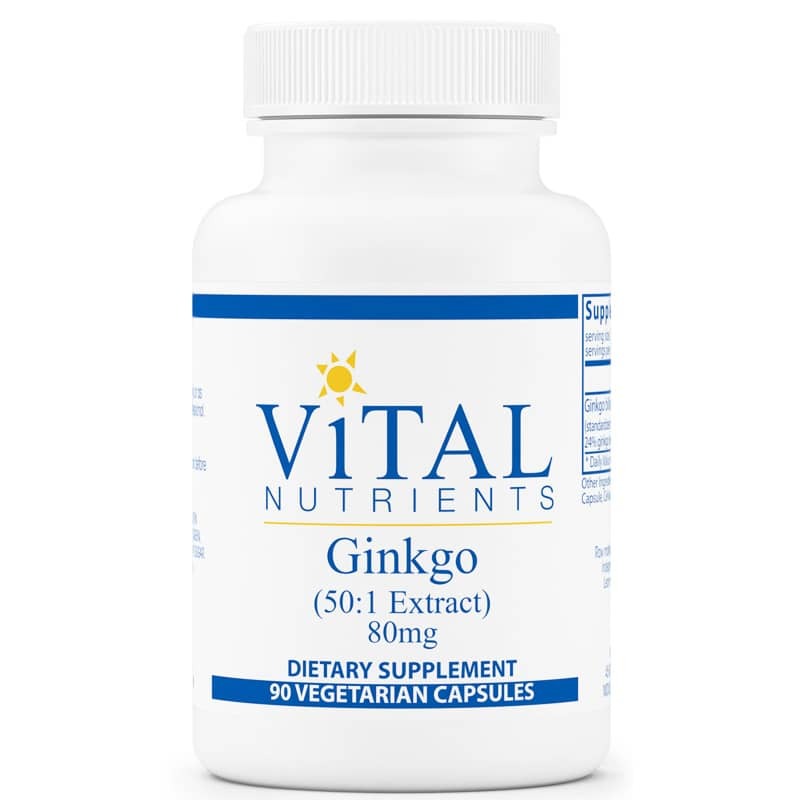 Ginkgo (50:1 Extract) by Vital Nutrients is a natural supplement that supports memory, mental clarity and circulation. Ginkgo is a popular herb used to support improving absentmindedness and aiding in mild memory problems associated with aging. 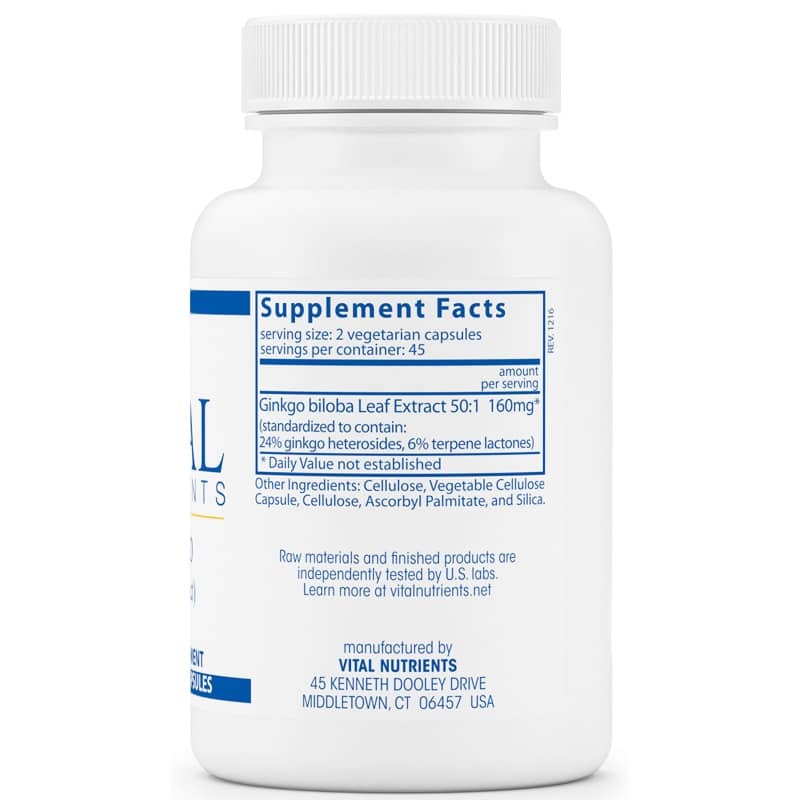 Ginkgo also supports maintaining healthy blood circulation and helps maintain platelet aggregation levels that are already within the normal range. Independently tested for authenticity, potency, heavy metals, solvent residue, herbicide and pesticide residue, aflatoxins, stability and bacteria, yeast and mold counts. Other Ingredients: cellulose, vegetable cellulose capsule, ascorbyl palmitate, and silica. 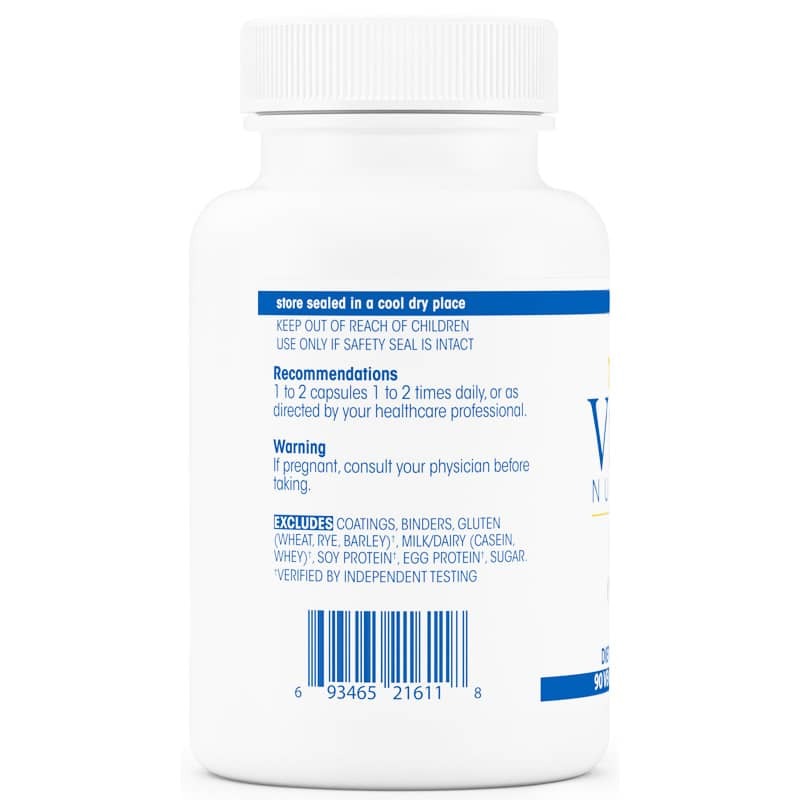 Adults: 1 to 2 capsules 1 to 2 times daily, or as directed by a healthcare practitioner.